We are specialists in designing and setting up local area networks which enable businesses to make more efficient use of their IT investment. Let our experienced staff analyze, design and implement a new networking solution for you from the ground up. We'll examine your unique business IT needs and your future growth plans and come up with the best network solution for your business environment. If you already have a network, we can assess your current setup and help you get the most out of your IT investment. Businesses with 5 to 50 network users have traditionally been an under served segment of the IT service market. The cost structures and service delivery models of large third-party support organizations make them too expensive for most mid-size businesses, who typically have small IT budgets with which to support IT networks whose complexity and sophistication are comparable to the information systems of larger enterprises. Metroplex Tech's service delivery model, which takes full advantage of remote support, virtual office infrastructure and proactive network monitoring, dramatically reduces IT support costs while offering enterprise-level service from certified, world-class experts in a broad range of technologies. Metroplex Tech's co-sourcing services allow your business to find the right balance between in-house and outside support by leveraging the capability of your in-house IT staff with the in-depth expertise of Metroplex Tech's engineers. By delivering effective support when you need it, providing specialists for critical applications, minimizing travel costs through remote support, offering unique services such as customized, automated server monitoring, and charging only for the services you use, Metroplex Tech gives you an affordable way to maximize the business value of your network. Networking is a complex part of computing that makes up most of the IT Industry. Without networks, almost all communication in the world would cease to happen. For organizations that rely on IT, reliability and performance is a key to success. Metroplex Tech has the ability to improve the operational efficiency of your IT infrastructure and adapt your enterprise to current IT technologies. We provide cost effective solutions that are designed to work with your existing business systems. We staff highly skilled technical engineers to support your corporate networking infrastructure 24/7. With our technical staff highly experienced in networking environments, Metroplex Tech is the perfect answer to supporting and maintaining your business network environment. We offer many networking services for home and business. Whether you need a simple network for your home office to share printers and Internet access or a robust, fault-tolerant and secure setup for your business, we can help. Below is a sampling of additional networking services that we offer. If you are looking for something you do not see listed here, please call us. Auditing provides the balance that effective management in this day and age requires. Metroplex Tech's Network Audits offer a definitive view of the current status of your networking environment. Metroplex Tech recognizes that the business objectives within your organization need to be tightly integrated with IT deliverables and this is done through effective network strategy formulation. 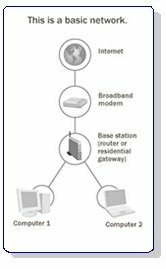 Let our 3 phase Network Startegy Service help outline your roadmap to success. Metroplex Tech provide an effective way to gather, document and manage your organizational network and IT requirements, helping you structure and simplify your network, leading to greater efficiencies in the long term. The fast pace of growth in most network environments means that much of your original network documentation can be out of date and no longer reflects the true topology of your current network infrastructure. Let our Network Documentation Service put update your documentation. Complete business and home networking, design, installation and support. In computer networking our expertise is second to none. Metroplex Tech's staff of certified IT professionals have extensive experience with enterprise networks, allowing mid-size businesses to achieve world-class IT support without having to maintain large internal IT organizations or absorb the high cost of outsourcing network support to large national service organizations. Many mid-size businesses are aggressively moving to outsourced support models for information technology because adding internal IT staff seldom benefits the strategic business IT objectives. Attempting to handle all IT service issues in-house can overwhelm senior management with minor and major IT problems, yielding poor returns for time invested. Companies need reliable, feature-rich, scalable, and fault-tolerant IT environments to support their mission critical applications, but they recognize that it makes little business sense to own and build such systems themselves or to manage internal staff of IT personnel. Smart outsourcing or co-sourcing allows companies to concentrate their internal resources on areas that will bring them the greatest strategic and competitive advantages in the markets they serve. As a Microsoft-certified consulting firm, Metroplex Tech is an acknowledged expert at the baseline system software and office productivity applications used by the majority of small and medium-size companies. As a Cisco-qualified partner, Metroplex Tech also can provide expertise for an increasingly complex array of network technologies such as PIX firewalls, switches, routers, voice-over-IP options, and wireless networking. Metroplex Tech can meet all your needs, from a small peer to peer network, a Local Area Network with network servers, or to a Wide Area Network to connect multiples offices together. HTS offers several different network solutions for getting your office online and connected.